Enjoy dignified convenience with our safe, sturdy, thoughtfully engineered, premium quality GO anywhere portable toilet®. 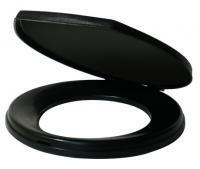 Our compact toilet weighs just 7 pounds and folds closed to standard briefcase size. 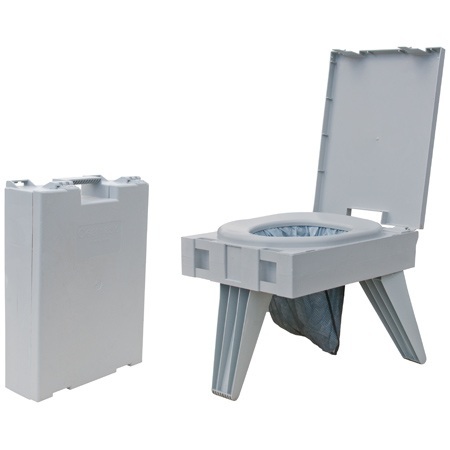 It provides the comfort, height and ease of use of a standard toilet, supports up to 500 pounds and is stable on uneven ground. No mixing, messy chemical waste storage tanks or dump stations required. No assembly required. 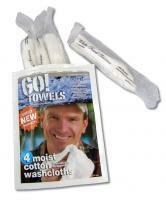 • 3 GO anywhere toilet kits. 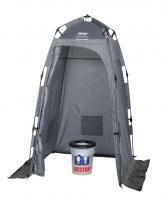 • To be used with GO anywhere toilet kits.